*Picture above taken at Crater Lake, Oregon. 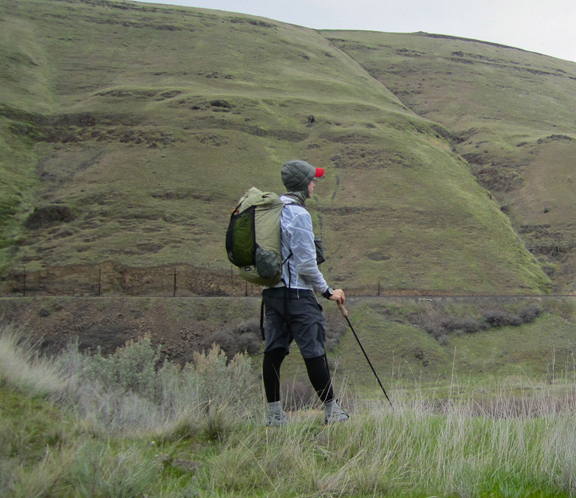 Apparently, I’m more rough with my frameless, ultralight packs than most people. In 3 years, I have gone through FIVE primary backpacks – all of which failed on the trail or simply wore out far too quickly. 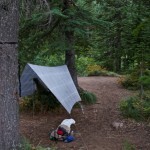 Most ultralight materials are not suited for the kind of rugged backpacking I enjoy several times per month. The exception seems to be Zpacks’s Cuben material. I went with a 36L Zero backpack, made of the 2.92oz Cuben Hybrid material. The alternative material is 1.4oz sq. yd. 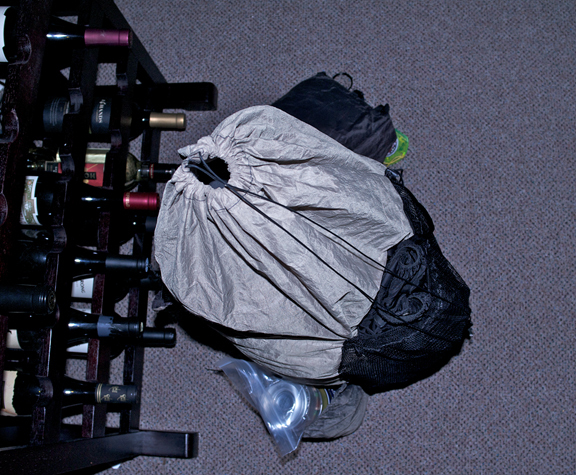 Cuben fiber, which Zpacks uses for the ‘standard’ Blast backpack. 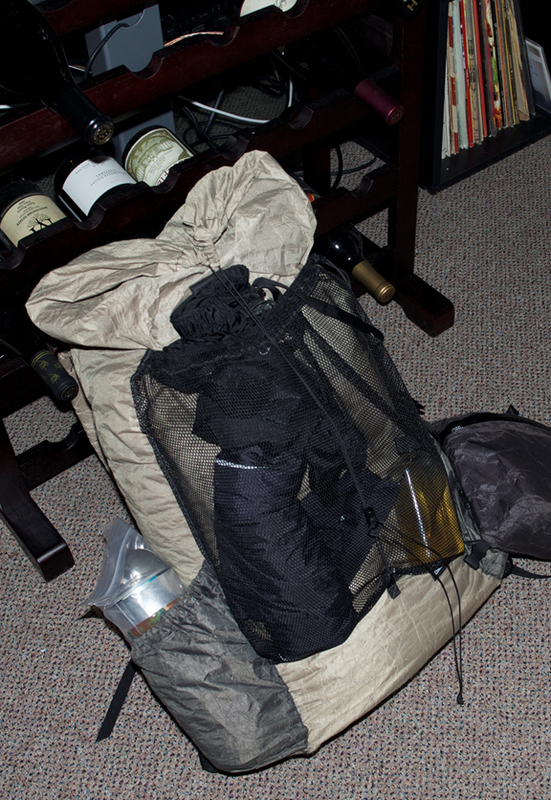 I went with the Cuben Hybrid because… well… all of my other packs fell apart and I wanted something bomb-proof. I am approximately 5’11” with a torso length of 20”. The medium torso length fits me perfectly. I’ll assume that my reader has purchased a backpack in the past and understands the importance of having someone measure his/her torso length before investing in a backpack. Zpacks doesn’t charge for torso length customization, so be sure to measure! The final cost was $170, plus shipping. It weighs 8.7 ounces. And bomb-proof it is. Since the material of the pack is waterproof, I don’t have to worry much about my stuff getting wet. I still use a trash compactor bag as a pack-liner, for when I have to open my pack in the rain and as extra protection for my down quilts. I carry my camera and a 0.5L disposable water bottle in a Zpacks Multi-Pack that attaches very easily to the Zero. 2 grosgrain loops on the shoulder straps provide attachment points for the Multipack’s straps, allowing quick access to my camera, water, and any small items that I like to have within reach. To be fair, I’ve had the Multi-Pack for several months longer than the Zero; the quality of workmanship and materials in the Multi-Pack certainly convinced me to spring for the Zero (keep an eye out for a review of this handy little pouch!). The pack weighs 8.7 ounces, which is far less than many other ultralight, frameless backpacks in this price range. The primary difference between this and other ultralight backpacks is the material – Cuben is incredibly strong for its weight. 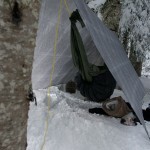 Similarly priced options made from Gridstop or other high-denier fabrics may not be inherently stronger than Cuben, despite being heavier in weight. The pack is surprisingly comfortable when loaded up. 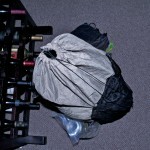 My base weight is a bit less than 8 pounds for Fall/Spring backpacking, but I’ve carried far more than that. 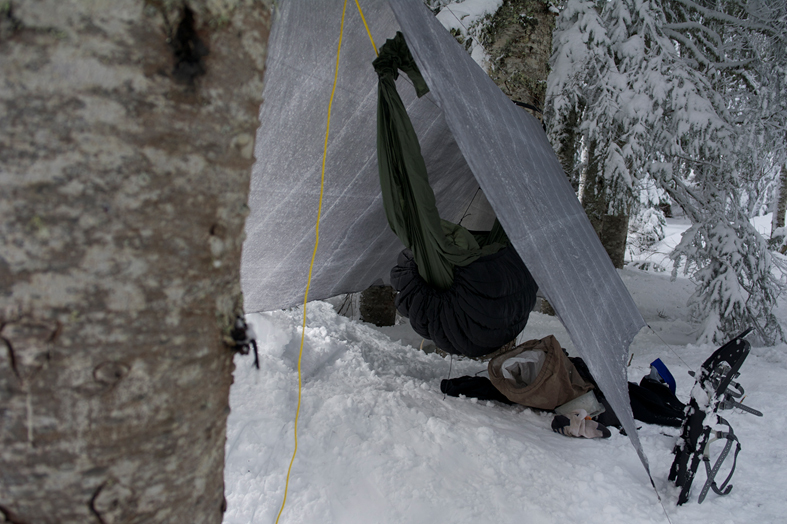 I carried more than 25 pounds of gear and food on a recent multi-day snowshoe trip and was relatively comfortable. I don’t like carrying more than 20lbs. with ANY pack, but this pack carries the load well. The shoulder straps are well-padded and the sternum strap is secure. The 3/4in. wide hip belt does cause some discomfort if the load is shifted from the shoulders. Generally, though, my shoulders can handle all of the weight I carry, and the hip belt simply stabilizes the pack against my back. This added stabilization is especially useful when scrambling or climbing hand-over-hand. A word about packing: Since the pack is frameless, I use a folded 1/8” thick Evazote pad directly against my back. The pad functions as a foot-pad in my hammock and a sit-pad for breaks. I put my Reflectix cozy in the bottom of the pack, to give it a flat bottom. Then, I put my pack liner in the pack and fill it with my sleep-socks, quilts, hammock, midlayer jacket, and my mittens & hat (in that order). The pack liner is folded over and my food bag sits on top for quick access. Generally speaking, that is all that I carry IN the pack. The mesh pocket on the back of the pack holds far more than it appears it could. 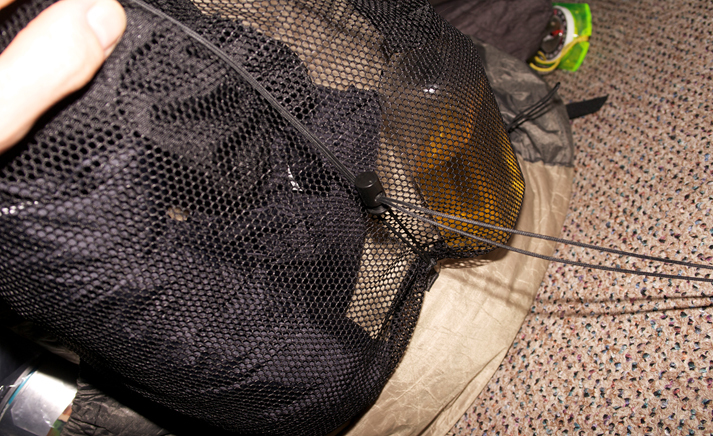 In it, I put my hammock tarp, hammock suspension kit, rain gear, and the ever-present staple: Scotch in an ultralight flask. In one side pocket, I carry my Caldera Cone Keg-F cook kit and long spoon. In the other, a 1.5L Evernew water carry (no you can’t have it!) and my Sawyer Squeeze filter. If I am planning to take in some particularly beautiful scenery, I’ll bring my Ultrapod II tripod, which fits nicely in the mesh pocket with everything else. As I mentioned, much of my hiking is done in rugged, off-trail terrain. Unfortunately, that has always meant that I either needed a heavy pack or needed to replace mine often. That is, until I bought my Zero. I’ve squeezed it through narrow, steep gullies, under downed trees, and over boulders. I’ve glissaded down icy slopes and even fell off of a cliff (accidentally) while wearing it – and it’s held up better than even my most trusted, 4lb. internal-frame backpack. My choice of material has not disappointed me. 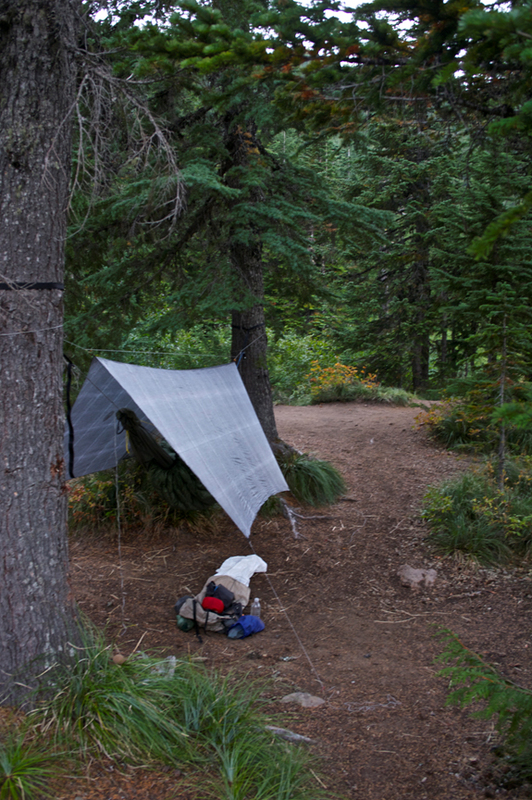 The 2.92 Cuben/Poly hybrid is extremely resistant to abrasion. A few times, I’ve squeezed under trees and would have SWORN that I had shredded the pack – but found no permanent marks at all. A few high-use spots on the pack have become discolored, but remain waterproof. 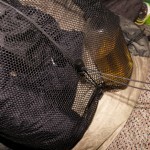 The mesh seems to be the “weakest link”, and has been snagged in a few places. Fortunately, I can fix that myself if it becomes necessary. After using the pack for the better part of a year, I’ve found only a few things I do not like about it. 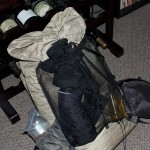 Primarily, I wish I’d gone with the roll-top closure system instead of Zpacks’ stuff-sack-plus-attachment-point closure. Basically, my Zero pack closes by drawing the draw cord tightly and securing the cordlock to a loop at the bottom of the pack (see photos below). Instead, I’d prefer a roll-top, dry-bag style closure. It works well enough, but simply seems unnecessary and possibly fragile. My other complaint is partly due to my own negligence. I wish that either: a) the side pockets were a bit taller, or b) I had a way to secure the top of my Evernew water bag to the pack. It tends to tip out of the pack pretty far, and I’m afraid that one day I’ll reach for it and find an empty pocket. Zpacks offers the option of a side strap, but I didn’t order it – so the fault is my own! Zpacks’ website is fairly minimalist in design. A few tabs at the top let you select the category of item you’ll be purchasing, There are three backpacks available on the Zpacks website: Arc Blast (a framed pack), Blast (frameless) and Zero (a stripped-down Blast). The Blast pack is the standardized, feature-rich Cuben fiber backpack that started Zpacks on the road to success. It has features that I wouldn’t use, however, and lacks a few things that I want in a pack – so I chose the fully customizable Zero. The ordering process for the Zero backpack takes place by adding a basic pack body and individual components to a PayPal shopping cart. I only mention the online ordering process because it is probably my least favorite element of the pack; the pack itself certainly makes up for the website’s shortcomings. The Zero is my 4-season backpack, whether I’m carrying a full winter load for 7 days of snowshoeing or 2 midsummer nights at low elevation. I’ve even carried it on a few luxurious winter day hikes. I’m even considering replacing my current daypack with a Zero, because I know it will stand up to whatever I throw at it. The quality of materials and workmanship is unsurpassed; if you’re considering a new pack, look to Zpacks for some of the best available on the market. Thank you for reading & visiting Outdoortrailgear reviews. If you have any questions feel free to leave a comment below. Jesse will do his best to answer. 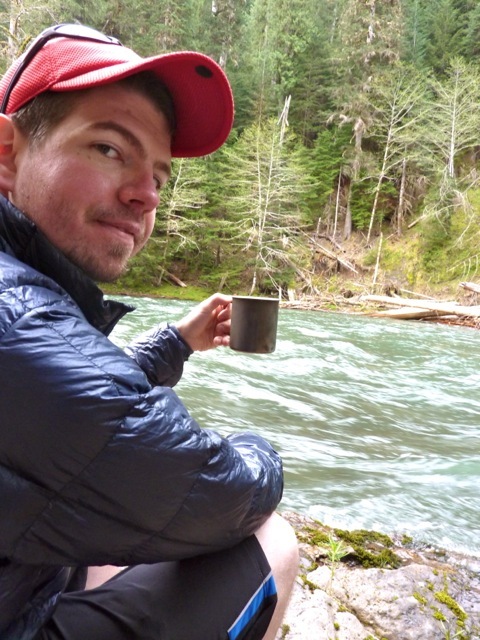 Jesse Blough – Senior ODTG Writer/Gear Geek (Jesse@Outdoortrailgear.com) Jesse is an avid ultralight backpacker and hammock enthusiast who hails from the beautiful Pacific Northwest. Jesse hikes roughly 30 miles per week, and goes backpacking (2-3 days at a time) twice a month. Major multi-day trips 5-10 times per year. Jesse has hiked most of the long trails in Pennsylvania (all of the NCT in PA, the Loyalsock trail, the Quehanna trail, etc.) He’s summited most of the lesser peaks in the PNW. His obsession with the lightest gear on the market has become increasingly expensive – so he found a business partner and began OneLife Wilderness Products as a means to feed the addiction. OneLife products is available in the ODTG store, along with other items that Jesse uses and swears by. 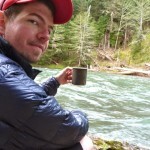 Jesse is working with Outdoor Trail Gear as lead gear tester, reviewer & blogger. Most of his gear reviews will be long-term and in-depth – written to help other hikers make informed decisions about what items might work for them in the long run.